The word “coarse” invites the comparison, coarser than what? Compared to the other salami reviewed here, the individual bits and pieces might be a little bigger than most, but nothing really to notice. The smooth finish, however, is notable. 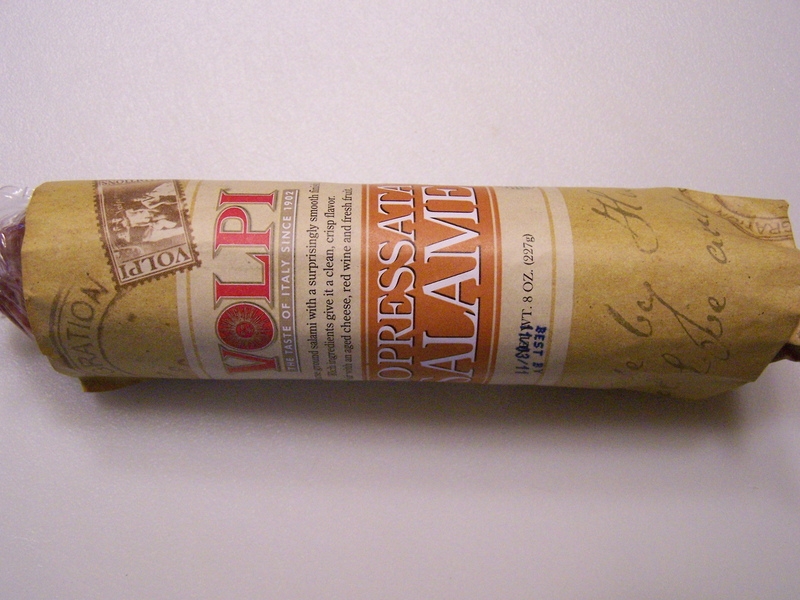 But what does a smooth finish mean for salami? Well, I’m not sure. If this was wine or whiskey, I’d be pretty sure of the meaning. However, my observation is that, either because of the slightly bigger (coarser) bits of fat or a higher fat concentration in the salami, this salami is less chewy and more melt-in-the-mouth than some other salami. The taste is very good. Garlic is not listed on the label. 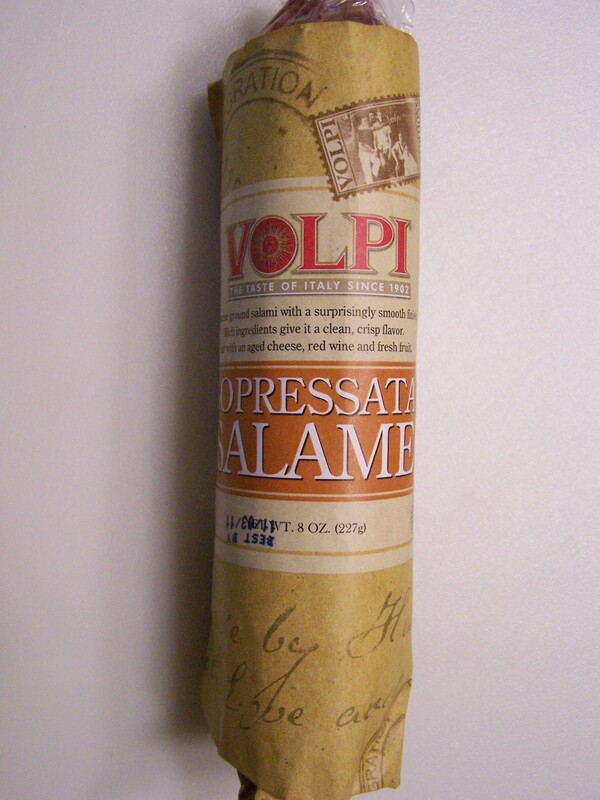 But even without a garlic presence, this salami is still very tasty. 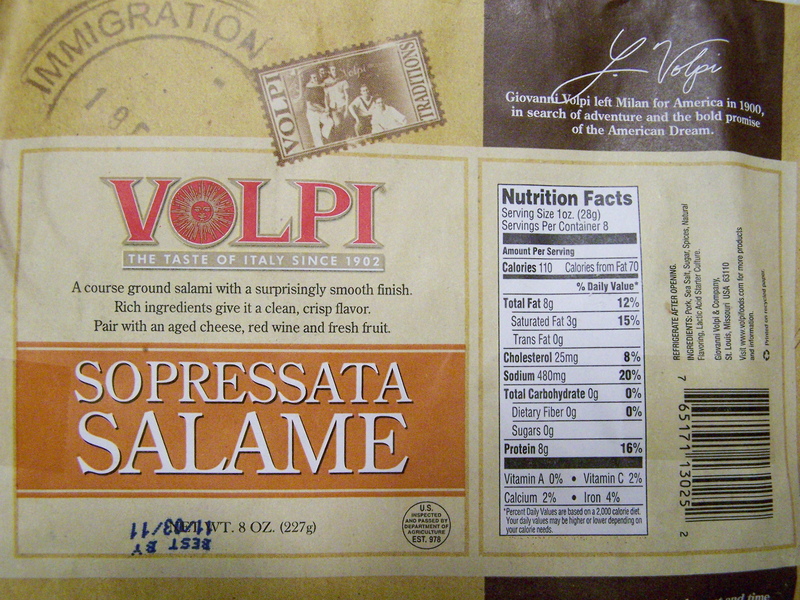 This is another fine product from Volpi. At $3.99 for 8 ounces, this is bargain at Trader Joe’s. This entry was posted on 05/21/2011 at 14:33 and is filed under Recipes, food, cooking and related items, Trader Joe's. You can follow any responses to this entry through the RSS 2.0 feed. You can leave a response, or trackback from your own site.